So last week on the post about how to do more push ups I shared my new goal with you guys. Its not really a new goal but now am focusing on it. I want to be super fit and want to be able to do elite level workouts and exercises. 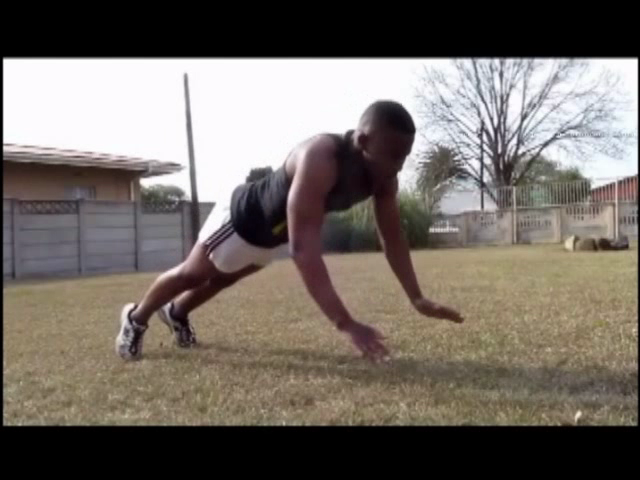 The exercise that is my target for now is the superman push up, its the ultimate push up in my opinion. To get there I know I will need lots and lots of practice which is why I have dropped my previous workout which was basically a slightly altered Arnold Schwarzenegger workout split. My new workout plan is basically mostly bodyweight exercises that I will be doing and a little bit of weights for body parts I feel need the most work or body parts I feel I can't target that well with the bodyweight exercises that I can do. My plan to get to the elite level which is the superman push up level is practice, practice, and more practice...but what exactly will I be practicing? Well its no use practicing normal push ups if my goal is to do superman push ups, so I will start doing more challenging push ups and also more explosive push ups to build my explosive strength. I know if I tried doing superman push ups right now I would fall flat on my face and probably damage some teeth or something, so the plan of action is to progress through different levels of push ups. I will start doing more clap push ups, then I will try and push my self as high as possible so that I increase the time between exploding up and touching the ground again, then I will try to do double clap push ups, whereby I clap twice before hitting the ground again, so I would explode up then clap once behind my back and once in front before hitting the ground in push up position again. After I get used to the double clap push then only will I attempt the superman push up. In the video above I am doing the side to side push up, the spartan push up, clap push ups as well as close grip push ups. I feel this is a nice upper body workout not just a chest workout and should you want to try it out try to do 3 or 4 sets and aim for at least 10 reps per set of each exercise. Below are the videos that have inspired me and the level of fitness I want to reach.